Please visit our event registration page to sign up. 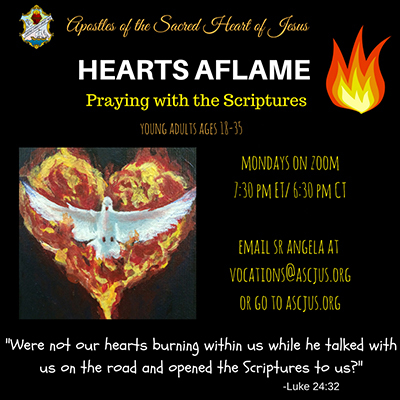 "Were not our hearts burning within us while he spoke to us on the way and opened the scriptures to us?” (Luke 24: 32) Join the Apostles each week on Zoom for 30 minutes of prayer with scripture and with one another. Contact us by email for more information. The Apostles offer webinars one Wednesday a month on Zoom to learn about different theological, philosophical, and practical realities of our faith. Contact us by email for more information. 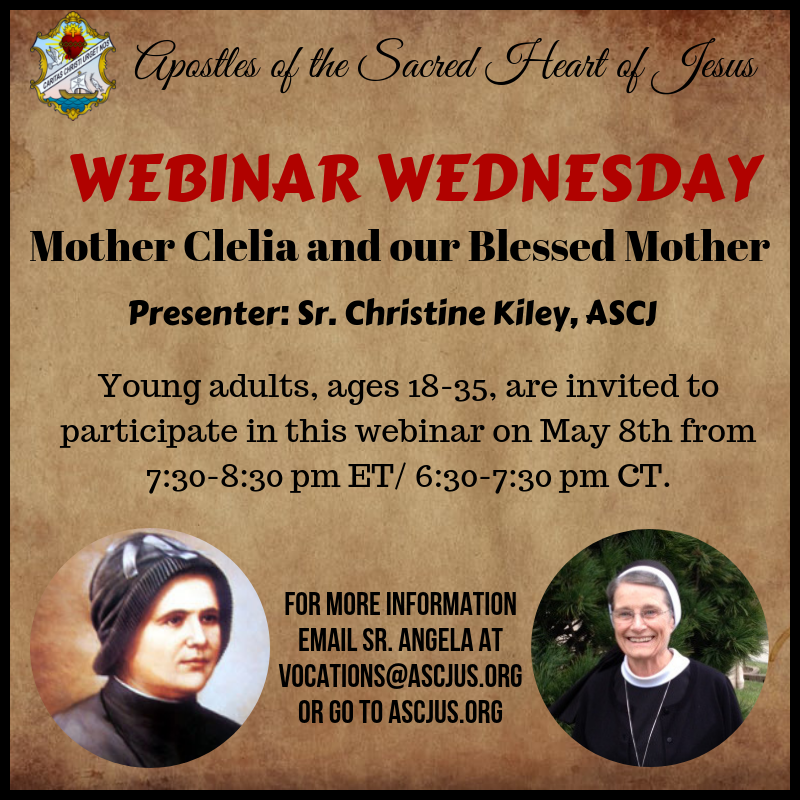 Below are some upcoming webinars for 2018-2019.